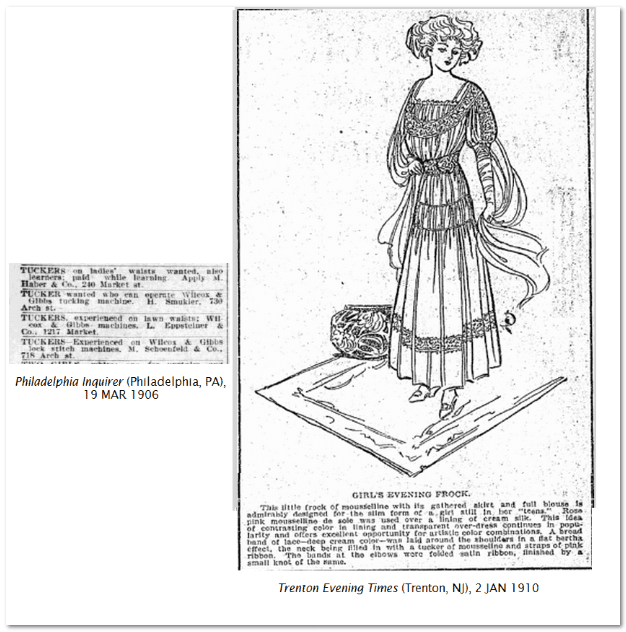 Introduction: In this article, Mary Harrell-Sesniak provides a fun quiz to test your knowledge of terms used in old newspapers to describe our female ancestors’ occupations—and then provides illustrated definitions of those terms. Mary is a genealogist, author and editor with a strong technology background. Our female ancestors were hard-working and talented women. Although historically many early jobs were not made available to women, the workplace roles that were filled by women often required highly skilled and talented workers—such as milliners and educators. These working women performed several different types of jobs throughout the 1800s and 1900s. How well do you know the occupational terms used in old newspapers to identify our American female ancestors’ jobs during the nineteenth century and earlier? Test your historical jobs knowledge with this handy Early Occupations for Women quiz. 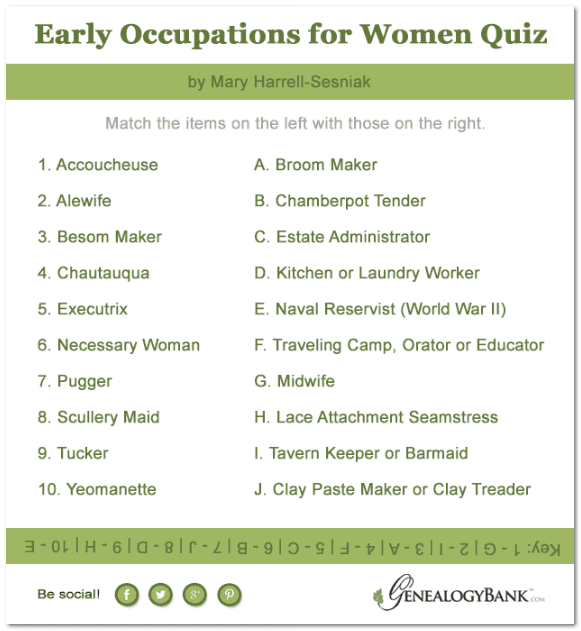 Play the women occupations quiz by matching the historical occupational names in the left column with the modern occupational name answers on the right. Check the key on the bottom to see how well you know your historical jobs. Accoucheuse, Accoucheus or Accoucheur: An accoucheuse was a midwife, or one who assisted during childbirth. 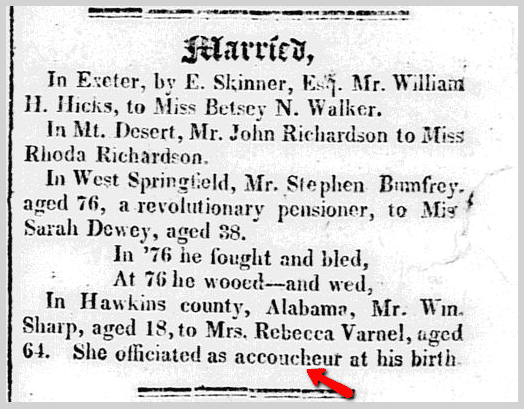 This 1826 newspaper article reported an unusual marriage, when Mr. William Sharp, age 18, married Mrs. Rebecca Varnel, who was 64 and had officiated as “accoucheur” at his birth. 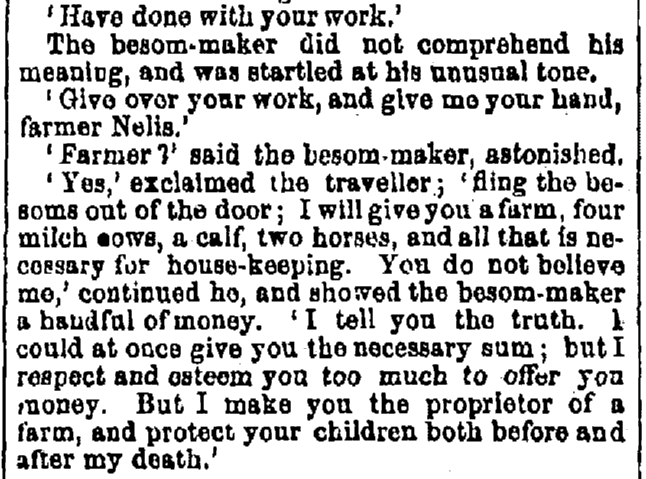 Besom Maker: A besom was a hand-made broom, in which a bundle of twigs was secured to a stick or broom handle. The job was common for, but not specific to, women. The term appears in this 1852 newspaper story. Charwoman: Charwomen were cleaners, who sometimes worked by the day or for several employers. The etymology may relate either to the term “char,” indicating something burned (possibly related to fireplace cleaning), or to the word chore. 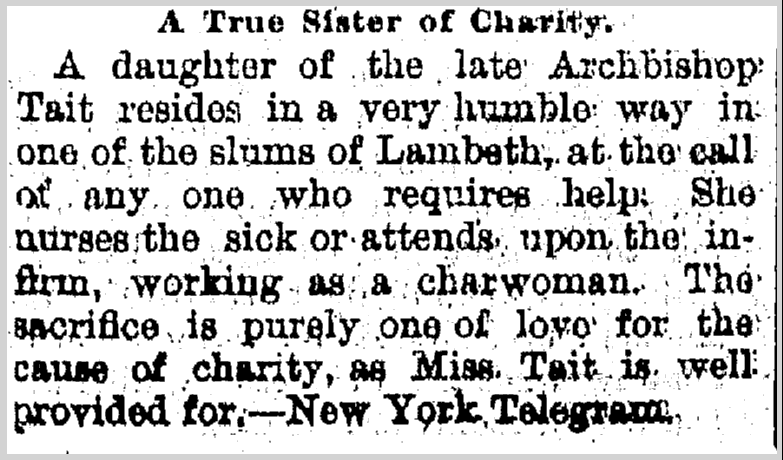 In this 1890 newspaper article, the Archbishop’s daughter is doing charitable work as a charwoman. 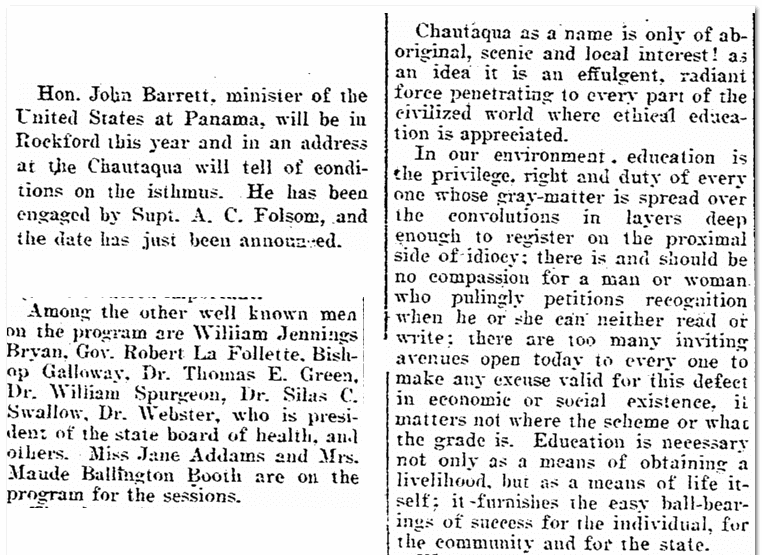 Chautauqua or Chautauquan: In 1874, the New York Chautauqua Assembly was founded by Lewis Miller and John Heyl Vincent as an informal religious teaching camp along Chautauqua Lake. It developed into what is known as the Chautauquan movement. 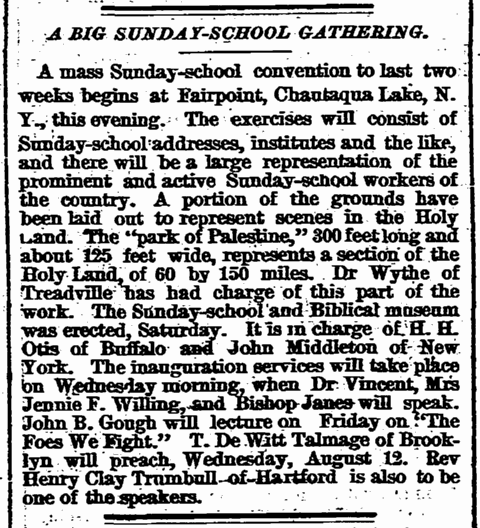 The main gathering was known as the “Mother Chautauqua” and spin-offs as “Daughter Chautauquas.” During these meetings, presenters provided lectures, concerts and other forms of educational entertainment. The following notice from 1874 announced the first convention, which lasted two weeks. Many women, such as Jane Addams and Maude Ballington Booth, were well-known on the Chautauquan circuit. The movement is still active today. Executrix: This occupational term is still current, and describes a female who is the administrator of an estate. 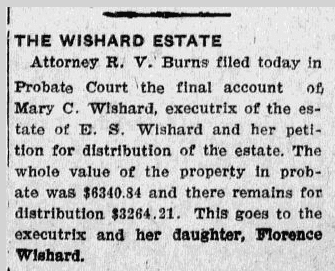 This 1911 newspaper article names Mary C. Wishard executrix of the estate of E. S. Wishard. Midinette and Milliner: Midinettes were Parisian fashion house assistants and seamstresses. Milliners made and sold women’s hats. 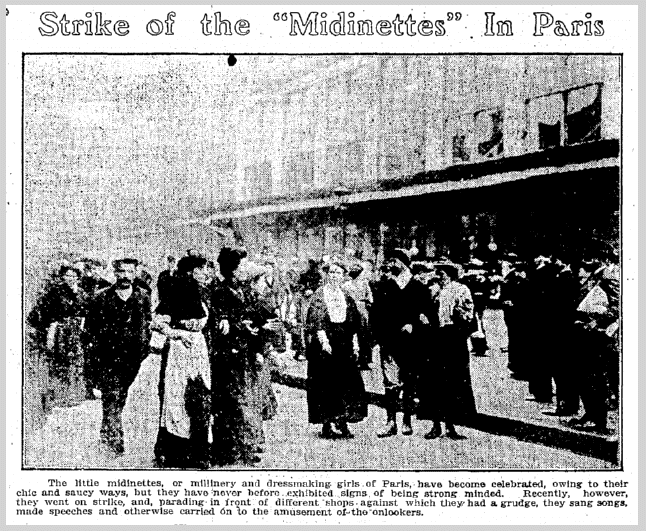 In 1910, there was a strike in Paris by the midinettes, milliners and dressmakers of Paris. Necessary Woman: Prior to the advent of indoor plumbing, the necessary woman had the unfortunate job of tending to chamber pots (used for toilets). 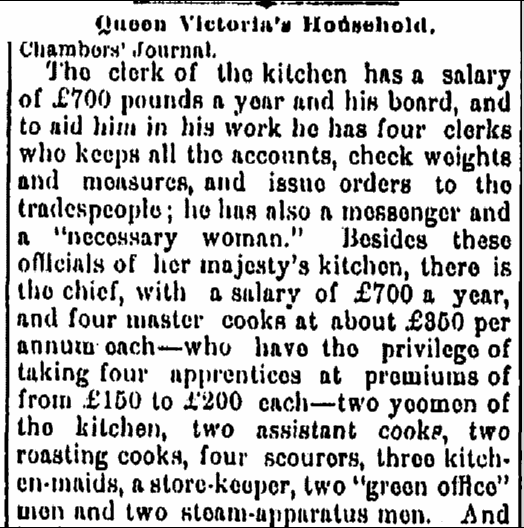 In 1882, this newspaper article described the employees of Queen Victoria’s household, which included a necessary woman. Pugger: Puggers were clay manufacturing workers who assisted in treading clay to make a paste. The job was not specific to women and often included children. This 1916 notice advertised for three clay puggers in Trenton, New Jersey. Scullery Maid, Woman and Worker: The term “scullery” applied to a small room, typically at the back of a kitchen (domestic or commercial), where laundry was processed, small food prepared or dishes washed. The job was common for females, but men also worked as scullery workers. 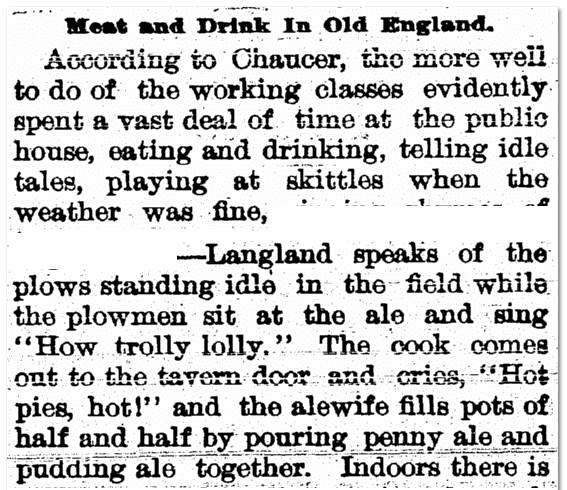 This 1914 newspaper article, reprinted from a London newspaper during World War I, recruited women for a variety of jobs including scullery work. Yeomanette: This is the female equivalent of yeoman, a term associated with certain military occupations, as well as farming. During World War I, women who served in the Naval Reserve were designated yeomanettes, as seen in this newspaper announcement that Eileen Carkeek, a member of the February 1918 class, had passed the Civil Service examination to become a yeomanette in the Navy. 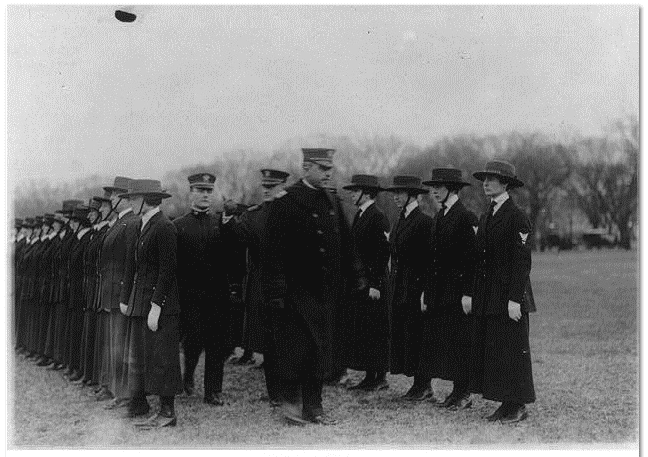 The Library of Congress Prints and Photograph archive has an interesting photo depicting uniforms worn by yeomanettes on duty. a wonderful informative and educational blog. Thanks!! Jana, Thank you for including this in your Fab Finds category, and Kay, Thank you for the positive feedback. It was a fun piece to write.